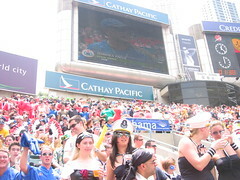 Well… I survived my first Hong Kong Sevens. 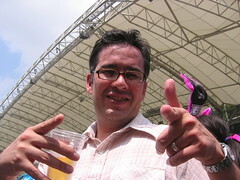 Three days of watching Rugby, drinking Pimm’s, and experiencing the South Stands. 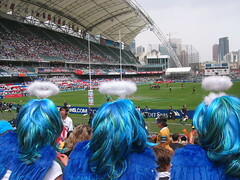 Me and my mate scored some nice seats we thought… until we sat through 9 hours of watching Rugby through 3 tinsel halos. You are certainly becoming a fan of strange games. I really did like the halos.